Soil remediation is a process that makes dirt contaminant-free and viable once again through contaminated soil disposal. It uses extremely environment friendly soil contamination removal process through thermal treatment. Soil remediation is an ingenious way to cleanse soil naturally. CPA Contracting offers soil remediation solutions and contaminated soil disposal management strategies for onsite retention in Sydney and surrounding areas like Newcastle, Canberra, Goulburn, Tamworth, Bathurst, Wagga Wagga, Port Macquarie, Batesman Bay and Wollongong. Particularly, CPA Contracting is focused on on-site soil remediation and off-site soil contamination removal. or call (02) 46 2_76 322. Please enter in the characters you see below. Off site or Ex-situ soil remediation is a process that mainly requires excavation of soil from the source of contamination to a processing plant for remediation. Off site soil remediation is a very effective but expensive method as it involves excavation and transportation of soil aside from the usual soil remediation process. On site or In situ remediation is a process of soil contamination removal that mainly involves treatment of contaminated soil. Unlike off site remediation, on site remediation is a more cost-efficient soil remediation method as it takes place in the actual site of contamination without requiring excavation of soil. What is CPA Contracting Pty Limited? CPA Contracting is a reputable and accredited site remediation contractor offering demolition, site remediation, and soil remediation services with diverse Government, Environmental Consultants, Oil Refinery Companies and Major Property Developers. Under WorkCover regulations, site remediation contractors must have a class 1 (DE1) demolition licence to demolish chemical facilities such as service stations sites or removal of underground fuel tanks (UST). We specialise in asbestos removal, demolition, tank removal, contaminated soil disposal, site remediation, soil remediation, and other site maintenance services throughout most of NSW including the following areas – Sydney, Wollongong, Newcastle, Canberra, Goulburn, Tamworth, Bathurst, Wagga Wagga, Port Macquarie, and Batemans Bay. Why Choose Us for your Soil Remediation task? Installation done with the most minimal disturbance. Demolition of service station, factories and commercial sites. Demolition of houses, flats & buildings. Removal or abandonment of petrol or diesel underground storage tanks. Soil contamination removal including all types of liquid, chemicals and solid waste. Asbestos contaminated soil removal including restricted or hazardous waste. Environmental testings and reporting to NSW DECC Guidelines. Bulk excavations in all types of soils including compaction. Demolition Unrestricted Licence No: 204544DE1. Friable Asbestos Licence No: AD211128. DECC contaminated soil transport licence No: 12514. $20 million Public and $10 million Asbestos Liability Insurance. 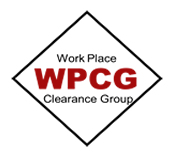 WorkCover NSW/VETAB Accredited Course in Occupational Health and Safety General Induction Training for Construction Work. 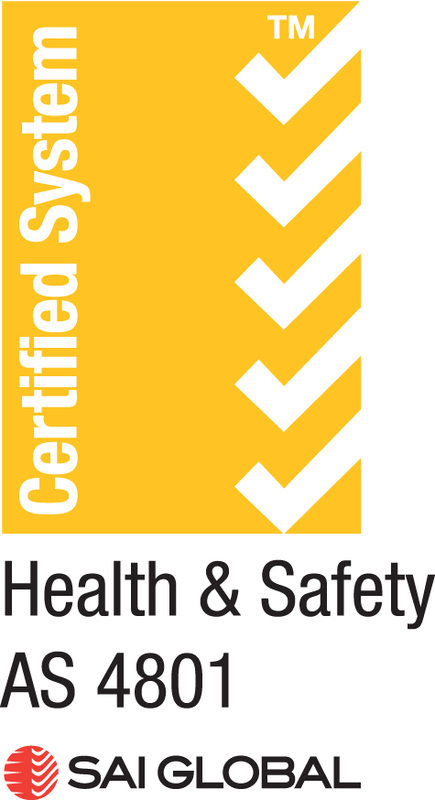 Knowledge, implementation and conducting all work tasks on site in accordance with CPA Contracting Certified Safety Management System (AS/NZS 4801) and Environmental Management System (ISO 14001:2015) to ensure safety to all workers, public and to the surrounding environment. Accredited Contractor with Australia Institution of Petroleum (AIP). 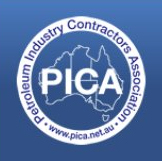 Petroleum Industrial Contractors Association (PICA). The term Underground Storage Tanks (USTs) are usually associated with industrial processes. When people hear USTs, they generally think of petrol stations or service stations. This is where people who own cars, trucks, or any vehicle that are powered by combustion engine go several times a month to fill up on petrol which is stored within a UST. But Underground Storage Tanks can't only be found at service stations. It is far more widespread than most people usually think. You can find USTs at telecommunications tower, hospitals, railways, universities, even in residential houses to name a few, making soil remediation and contaminated soil disposal more essential. But these products are commonly hazardous to human health and to the environment as well if in extreme abundance. They may leak from the UST and contaminate surrounding soil. If this happens, a chemical analysis of the soil or the groundwater will be essential to decide if your site still complies with legislative requirements or already requires site remediation. Additional analysis would be required if you wanted offsite contaminated soil disposal to be done at an appropriately licensed waste disposal facility. CPA Contracting offers soil remediation, contaminated soil disposal and site remediation services to the following areas: Newcastle, Canberra, Goulburn, Tamworth, Bathurst, Wagga Wagga, Port Macquarie, Batesman Bay, Sydney and Wollongong. To ensure that contaminated soil disposal will be executed properly, it will be important to first classify soil correctly. Soil classification should be done in accordance with the NSW DECC Waste Classification Guidelines. General solid waste is divided into two classes namely Putrescible and Non Putrescible. Putrescible solid waste is the type of contaminated waste material that can cause huge biological changes but does not go above specific contaminant concentrations (SCC) and leachable concentration (TCLP). On the other hand, Non Putrescible solid waste is regarded as contaminated waste material that does not exceed the lower specific contaminant concentrations (SCC) and leachable concentration (TCLP). Restricted solid waste is the highest classification of Solid Waste material as it goes beyond either or both the lower SCC and TCLP but not the upper SCC or TCLP set by the NSW DECC. Liquid waste are classified as the substances with angle of repose of less than 5 degrees, becomes free-flowing when transported or when temperature is 60°c or lesser, and those that cannot be picked up by using shovel or spade. Special Waste is classified based on unique regulatory requirements. Clinical and other related substances, asbestos, waste tyres, and other additional wastes classified by EPA and made known to public through the NSW Government Gazette all fall under the category of special waste. Excavated Natural Material is the new soil classification created in June 2008 by the DECC. This type of waste requires chemical analysis and must meet strict criteria. Substances used as either general fill, engineered fill or landscaping material in earthworks projects are categorised under ENM. Materials that were processed and contain acid sulphate soils or potential acid sulphate soils are not classified under ENM. According to DECC ENM is defined as naturally occurring rock and soil (including but not limited to materials such as sandstone, shale, clay and soil) that has been excavated from the ground, with at least 98% (by weight) natural material content, and doesn’t meet the definition of Virgin Excavated Natural Material. Virgin Excavated Natural Material (VENM) is the soil classification that pertains to natural material without previous earthworks and not contaminated by activities conducted above the material. According to the NSW Environmental Protection Authority (EPA), VENM is defined as the natural materials including clay, gravel, soil and rock that were not mixed with any other type of waste and substances that were excavated from land areas. VENM are free from contaminants like human-made chemicals that were produced from industrial, commercial, mining or agricultural activities and do not contain sulphidic ores or soils.